Birthdays are a great time to show someone how much you care and appreciate them. And so, birthday cards are the perfect way to show you remembered their special day. There are many choices at The Gallery Collection for you to choose from. There are cards appropriate for the office, as well as cards more suitable for personal use. I once received a birthday card from the office I worked for, and it was such a pleasant surprise! I never thought my birthday would be so significant as to receive birthday cards. It sure did make me feel more appreciated for everything I did. Birthdays are special since they only occur once a year. 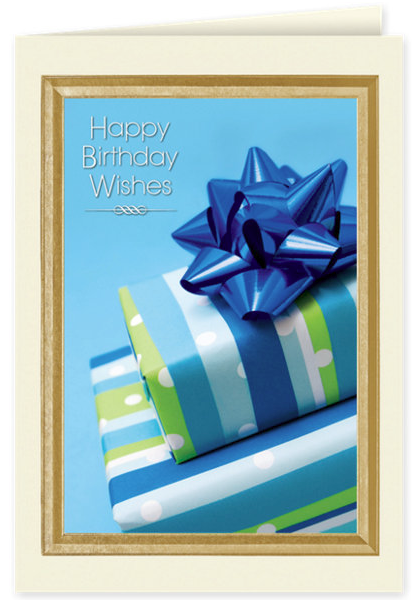 For business, you may opt for a birthday card with a “Happy Birthday” and presents on the cover. If you’d like to show some of the personalities in the office, you may like the card that features several characters on the cover. If you are looking for personal cards, my personal favorite would be cards that have the delicious birthday cakes on the cover. I also love the cards that have cupcakes sprinkled all over. Who knew birthday cards could be so much fun? Make sure to choose your favorite for the next special birthday in your life.